The happy hopping bunny clip set will have you bunny crazy! 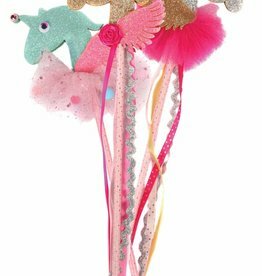 These clip sets come in 2 colour variations to choose from and feature adorable pom poms. 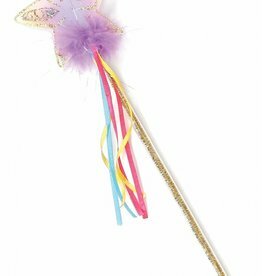 In the shape of bunnies, these clips are glitter coated with iridescent glitter. Assortment: 3 Pink, Purple, and white clips. 3 clips per card. These are not your traditional pearls! 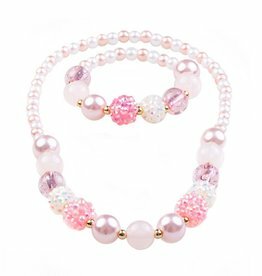 This necklace and bracelet set features a string of fun matte pearlized rose pink beads, iridescent chunky beads, and is all pulled together with some classic white pearl beads. 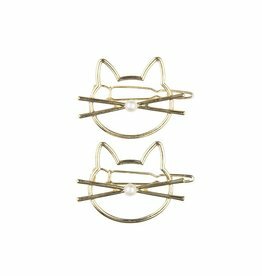 Show your love for our furry feline friends with this 2 piece gold hair clip set. 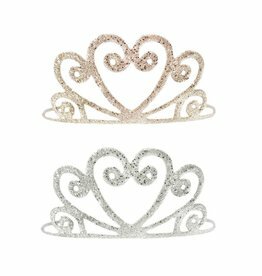 Gold enamel clips feature a pearl nose accent and are super puuurr-fect! 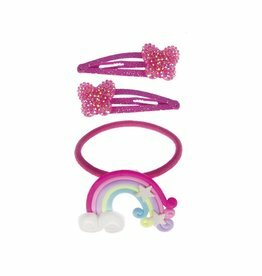 A glitzy set made for the rainbow spark in everyone, this 3 piece set includes 2 hairclips and 1 very cool rainbow hair tie! 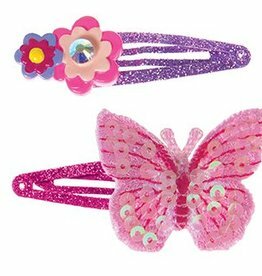 Add a flit and fluttery butterfly and matching flower to your hair, with this sweet hairclip set. 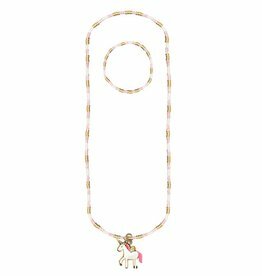 A sequence of pink, gold and white small beads make up this classy unicorn necklace!